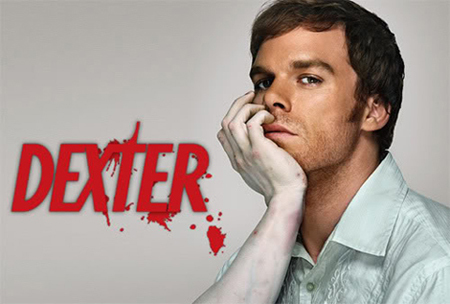 This highly addictive new TV show is about Dexter Morgan, a blood spatter analyst for the Miami Police Department, who is a serial killer at the same time. I won’t say too much, you just have to watch the show. In the Netherlands, it is broadcasted by the VPRO. I saw the first 3 seasons in the States and I can’t wait for the 4th season which has just finished and is said to be very good. To me, this show is about the true nature of an artist and all the efforts it takes to be one. Striving for total perfection, beauty, completely irrational and passionate, and although it all makes sense, nobody will ever understand. Do I need to say that the killing is just a metaphor? This entry was posted on Sunday, December 6th, 2009 at 10:59 pm and is filed under Uncategorized. You can follow any responses to this entry through the RSS 2.0 feed. You can leave a response, or trackback from your own site.